Will Steger will discuss the changes that he has witnessed in the Polar Regions as a result of global warming along with possible solutions to the global warming problem. 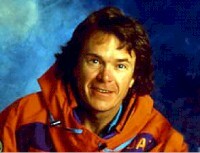 Will Steger has led significant dogsled exploration expeditions in the Polar Regions for over 20 years. Among his many trips are the first confirmed dogsled journey to the North Pole without re-supply (1985) and the historic 3,471 mile International Trans-Antarctica Expedition – the first dogsled traverse of Antarctica (1989-1990). He has received many honors for his expeditions including being named the National Geographic Society’s first Explorer in Residence (1996) and being awarded the National Geographic Society’s John Oliver La Gorce Medal for “accomplishments in geographical exploration, in the sciences, and for public service to advance international understanding.” (1995) Locally, he founded the Global Center of Environmental Education at Hamline and the World School for Adventure Learning at St. Thomas He is also the author of four books on polar and environmental issues. Wilderness remains one of the most volatile and hotly debated environmental issues in Minnesota. The creation of the Boundary Waters Canoe Area Wilderness pitted local residents against the federal government, conservation values against business interests, and citizen activists from both sides against each other. While the legislation to protect the wilderness passed almost 30 years ago, the enmity surrounding the issue persists today in the continuing discussion over public land. The Friends of the Boundary Waters Wilderness is the only environmental non-profit dedicated primarily to protecting, preserving, and restoring the wilderness character of the BWCAW and the Quetico-Superior Ecosystem. The organization formed in 1976 to protect this vulnerable area and two years later shepherded legislation through Congress that brought full protection to the Boundary Waters. Today, the Minneapolis, Minnesota-based organization of 4,000 members is a sentry against further harm in the BWCAW and the Quetico-Superior Ecosystem. As Policy Associate, James works with board and staff to coordinate policy positions for the Friends regarding timber sales, mining projects, development, and other forest management issues. He also develops education and outreach programs, and works with volunteers to coordinate efforts in the field. James is a 2004 Macalester graduate with a History major. Sustainability is both a challenging concept and an elusive goal for America’s rapidly growing cities. Austin, Texas has several innovative programs that attempt to work with ecosystem services for recycling urban waste streams and thereby provide a firm measurement of sustainability. Moreover, through these programs, the city attempts to address the three E’s of sustainability – environment, economics, and equity. This work occurs at a unique facility called Hornsby Bend where research, education, and ecotourism coincide with waste recycling, farming, and a thriving compost business. In this presentation, Kevin will explain what Hornsby Bend means to the City of Austin and the ecological and social significance of such places for urban sustainability. Kevin is a geographer and philosopher who has studied at Allegheny College in Pennsylvania [BA], Durham University, England, and Ohio University [MA] where he taught philosophy and symbolic logic for several years. 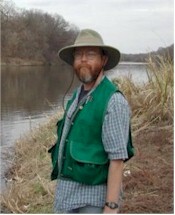 He is now completing a dissertation at the University of Texas at Austin, Geography Department entitled: Marginal Nature: Urban Margins and the Meaning of Nature in America.His research interests include soil ecology and sustainable agriculture, urban ecology, riparian ecology, environmental philosophy, nature writing. This EnviroThursday is cosponsored by the Environmental Studies and Geography Departments. Dave Foreman will address the increasing threats to the environment resulting from growing population and affluence and from the current political situation. He will share his concerns that current environmentalism is not responding appropriately to these threats, especially in the areas of wilderness and species protection, and will propose that a tougher “biocentric” approach is needed. Cesia will discuss the sources of mercury in Minnesota along with the dangers that it presents to our health and natural environment and the serious environmental justice impacts that it creates. Opportunities for achieving mercury pollution reduction in the state will be identified along with actions that each of us can do to make Minnesota mercury pollution free. Cesia Kearns is a staff organizer for the Clean Air and Renewable Energy Committee of the Sierra Club. She graduated in 2004 from Minnesota State University at Mankato with a BFA in Sculpture and a BS degree combining Ethnic Studies, Anthropology, and Theater. Prior to her position at the Sierra Club she served as a student fellowship assistant with the Kessel Peace Institute, educating southern Minnesota communities on peace and justice issues. She has also served as volunteer student coordinator with Amnesty International in Minnesota. There is heavy competition for the open seat in Minnesota House of Representatives District 64A, the District that includes the Macalester area. The first step to selecting someone to represent us is coming up on Tuesday, March 7, when Precinct Caucuses will be held. This EnviroThursday Candidates Forum will give you a chance to meet some of the candidates and learn about their environmental priorities, plans, and key issues. We have invited all of the candidates running for this seat, including candidates from the Democratic Farmer-Labor, Green, and Republican Parties. The Forum will be held from Noon-12:50 and after a break to allow people to leave if they need to, there will be a second hour for questions and discussion if necessary. The event is free and open to the public and will be held in Olin Rice, Room 250. Refreshments will be provided. Tom Meersman will discuss his experiences as an environmental journalist covering stories ranging from nuclear wastes to threatened species to wind farms, etc. Meersman has been reporting on environmental issues in Minnesota and the upper Midwest for the past 25 years. He has been with the Minneapolis Star Tribune since 1993, and worked at Minnesota Public Radio from 1980 to 1993. He was one of the founding board members of the Society of Environmental Journalists, which currently has about 1,100 members, including environmental writers and producers at newspapers, online, magazines, TV and radio, and an academic division for students and for those who teach environmental journalism. Meersman attended college at the University of San Francisco and graduate school at the University of Wisconsin-Madison. He was a counselor at group homes for troubled teens and a high-school English teacher for three years before he became a journalist. Central American forest development projects increasingly target indigenous territories. In spite of some increased inclusion in natural resource management initiatives, there are still serious limitations to indigenous decision-making. Furthermore, these projects generally lead to what various authors have identified as the “marketization of indigenous citizenship.” Building on two years of fieldwork in Nicaragua, Mary utilizes two case studies, the Mesoamerican Biological Corridor and the Limi-Nawah Corporation, to demonstrate broader economic, social, and ecological trends found in native communities involved in forest development throughout the Americas. Mary M. Brook is a geographer specializing in Latin American natural resource issues with a particular focus on the role of indigenous peoples. She has a B.A. in Environmental Studies from the University of Vermont, a Masters in Latin American Studies from Tulane University, and a Ph.D. in Geography and the Environment from the University of Texas at Austin. In the fall she will join the Geography Department at the University of Richmond. This talk will focus on a place called Providence Canyon State Park, aka “Georgia’s Little Grand Canyon.” The so-called “canyon” is actually a series of erosion gullies that were the worst the region produced, and that gained wide notice during the 1930s, when locals tried to make the area a national park and soil conservation professionals tried to make it the poster-child for southern soil abuse, making this an interesting case study in southern environmental history, conservation history more broadly, and the politics of representation. Paul Sutter received his Ph.D. from the University of Kansas in 1997, where he studied environmental history with Donald Worster. After finishing his degree, Paul served as a Postdoctoral Fellow in the History of Technology and the Environment at the University of Virginia in Charlottesville from 1997-2000. He has published a number of scholarly and popular articles on the American wilderness movement, environmental historiography, and other topics, and the University of Washington Press published his first book, “Driven Wild: How the Fight Against Automobiles Launched the Modern Wilderness Movement,” in 2002. Management of runoff is a growing problem in our rapidly urbanizing society. Urban runoff carries a variety of pollutants including hydrocarbons, heavy metals, and nutrients. Moreover, urbanization increases the volume of runoff and the peak discharge delivered to streams, which can lead to downstream flooding and erosion. To address these problems, storm water management was introduced in the early seventies. Although there are a variety of management techniques in use today the most common is that of the detention pond. Unfortunately most ponds built today (and most state regulations) are based on the same technology and design principles in use 30 years ago. In this talk Professor Clark will discuss recent findings on the effectiveness of two detention ponds along Apple Creek, in Appleton, WI and the implication of these results for storm water management policy in the United States. As Associate Professor of Geology, Dr. Clark is an active member of the environmental studies program at Lawrence and will serve as program chair next year. He is spending his sabbatical year (this year) as a visiting researcher at the National Center for Earth-surface Dynamics at the University of Minnesota. Dr. Clark received his BA in Geology and Environmental Studies from Middlebury College and his doctorate degree from the Johns Hopkins University. He is the spouse of Professor Kim Dickson of (our own) Macalester Biology Department. William Cronon studies American environmental history and the history of the American West. His research seeks to understand the history of human interactions with the natural world: how we depend on the ecosystems around us to sustain our material lives, how we modify the landscapes in which we live and work, and how our ideas of nature shape our relationships with the world around us. In addition to authoring a number of highly influential articles, including “The Trouble with Wilderness, or, Getting Back to the Wrong Nature,” he is the author of Changes in the Land: Indians, Colonists, and the Ecology of New England (winner of the Francis Parkman Prize) and Nature’s Metropolis: Chicago and the Great West (winner of the Bancroft Prize, the George Perkins Marsh Prize, and the Charles A. Weyerhaeuser Award, among others), and is the editor of Under an Open Sky: Rethinking America’s Western Past and Uncommon Ground: Rethinking the Human Place in Nature. fter having served for more than a decade as a member of Yale University’s History Department, Cronon became the Frederick Jackson Turner Professor of History, Geography, and Environmental Studies at the University of Wisconsin­Madison in 1992. He has been President of the American Society for Environmental History, and serves as general editor of the Weyerhaeuser Environmental Books Series for the University of Washington Press. He has served on the Governing Council of The Wilderness Society since 1995, and on the National Board of the Trust for Public Land since 2003. Focusing on the intersection of globalization, aboriginal sovereignty issues, regional colonial legacies, and environmental and social injustice, this thesis examines with the lens of activism, the ways that economic and political forces have manifested themselves in the landscape of Northern Manitoba through large scale hydropower development on indigenous lands. Relying on this contextual background, this thesis evaluates the efficacy and strength with which a multifaceted social movement consisting of grassroots activism, academic and artistic advocacy, middle-reaches environmental and social justice organizations, and the newspaper media has emerged in reaction to the social and environmental effects of hydropower. In conjunction with the Environmental Studies Senior Seminar this semester, we are bringing together a panel of community activists for a discussion on current environmental justice organizing going on in the Twin Cities. The theme of our seminar is Environmental Justice, and as a class we have been studying the construction of I-94 through the historically black, working class Rondo neighborhood in St. Paul. In order to get a more contemporary perspective on community organizing around transit and environmental justice issues, we have invited a panel of esteemed community organizers to discuss their work locally. Nieeta Presley is a former Rondo resident and Executive Director of the Aurora/St. Anthony Neighborhood Development Corporation. ASANDC works on issues of affordable housing and economic development, as well as doing youth and senior citizen programming in the community. Mrs. Presley has been recently involved in the community campaign to have a voice in the planning of the Light Rail Central Corridor project. Carlos Garcia-Velasco is the new Lead Organizer with the West Side Citizens Organization. WSCO is a volunteer-driven organization of community members on the West Side of St. Paul who advocate for safe and affordable housing; a healthy environment; accessible parks and recreational facilities; and high quality education. Recently Mr. Garcia-Velasco has been involved with the planning of riverfront development in the area, and mobilizations around a proposed flood wall at the downtown St. Paul Airport. Ken Avidor is a sculptor, illustrator and author of the anti-car comic strip, Roadkill Bill, published very week in the Twin Cities Pulse and other environmental and anti-car publications. Avidor lives with his family in Minneapolis, and has been involved in various organizing around transit in the Lake Street area. Salvador Miranda is Associate Director of the Organizing Apprenticeship Project in Minneapolis. The goal of the OAP is to strengthen community organizing in Minnesota by increasing the number, effectiveness and diversity of community organizers, leaders and organizing projects in the state. Salvador grew up on the West Side of St. Paul, and through his work with the OAP has advocated for racial equity in various community development projects in the Twin Cities. The Campus Environmental Issues Committee (CEIC) has accomplished a lot this year to make Macalester a greener, more sustainable campus. Just as examples consider: a green roof, green building plans, a green food garden, a clean energy fund, HourCar, bike sharing, native rain gardens, free high efficiency light bulbs, Eureka Recycling on campus, dorm wars, an eat local challenge, Earth Week activities, a Capitol rally for renewable energy, and more. A celebration is definitely in order. Come to this EnviroThursday to learn more about and celebrate our accomplishments and help plan for more in the future. A highlight of the program will be a brief PowerPoint presentation on our new green roof by Alese Colehour and Ellie Rogers. We will also conduct a bit of CEIC business, where we will consider formal approval for the Clean Energy Revolving Fund and the appointment of a student representative to the Fund’s Board. All are welcome.